Biosolids are an offshoot of the wastewater treatment process. They can be used as a construction material, a fertilizer, or in land rehabilitation. Nearly 30% of the world’s biosolids are either sent to landfill or stockpiled, consuming valuable land and potentially releasing greenhouse gases, thereby posing an environmental challenge. 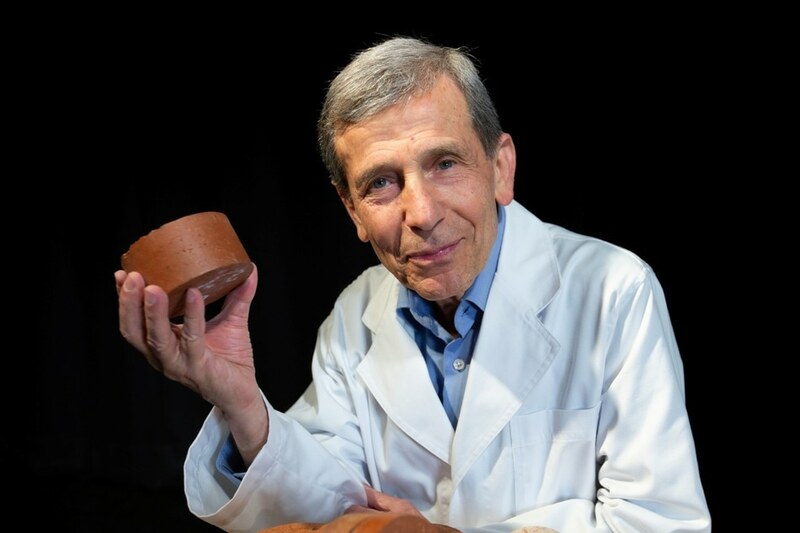 Currently, researchers at the RMIT University in Melbourne, Australia, have shown that fired-clay bricks including biosolids could be a sustainable solution for the wastewater treatment as well as the brickmaking industries. The study, published in the journal Buildings in January 2019, demonstrated that making biosolids bricks only needed about half the energy needed for traditional bricks. In addition to being relatively inexpensive to produce, the biosolids bricks had a lower thermal conductivity, conveying less heat to potentially offer higher environmental performance to buildings. In the European Union, more than 9 million tonnes of biosolids are produced every year, while in the United States, around 7.1 million tonnes are produced. Australia produces 327,000 tonnes of biosolids yearly. The research found that there was a huge possibility to develop new advantageous reuse market-bricks. Every year, approximately 5 million tonnes of the biosolids produced in New Zealand, Australia, Canada, the United States, and the European Union are presently sent to landfill or stockpiles. These 5 million tonnes could be used up by employing at least 15% biosolids content in 15% of the bricks produced. Lead investigator Associate Professor Abbas Mohajerani stated that the aim of the study was to deal with two environmental problems—the excavation of soil needed for brick production and the stockpiles of biosolids. More than 3 billion cubic meters of clay soil is dug up each year for the global brickmaking industry, to produce about 1.5 trillion bricks. Using biosolids in bricks could be the solution to these big environmental challenges. It’s a practical and sustainable proposal for recycling the biosolids currently stockpiled or going to landfill around the globe. Abbas Mohajerani, Civil Engineer, School of Engineering, RMIT. The study looked at the mechanical, chemical, and physical properties of fired-clay bricks incorporating various proportions of biosolids ranging from 10% to 25%. The biosolid-enhanced bricks which qualified compressive strength tests and analysis showed that heavy metals are largely trapped inside the brick. Biosolids can have drastically diverse chemical characteristics, hence the scientists suggest that further testing is needed before producing it in large scale. When compared to standard bricks, the biosolids bricks are more porous due to which they have lower thermal conductivity. Furthermore, the study demonstrated up to 48.6% decrease in brick firing energy demand for bricks incorporating 25% biosolids. This is because of the organic content of the biosolids and could significantly minimize the carbon footprint of brick manufacturing companies. The results of a comparative Life Cycle Assessment and an emissions study carried out as part of the study proved that biosolids bricks provided a sustainable alternative method to deal with the environmental effects of brick manufacturing and biosolids management. The study, funded by RMIT University, Melbourne Water and Australian Government Research Training Program scholarships, is reported in the “Green Building Materials Special Issue” of Buildings.